Whether you are shipping your car to or from California, Best Price Auto Shipping is your online source for getting the BEST PRICE on shipping your vehicle. Fill out the short, simple, no obligation quote form to the right, then start receiving and comparing your auto transport quotes. Do you need to ship a car to or from the state of California? 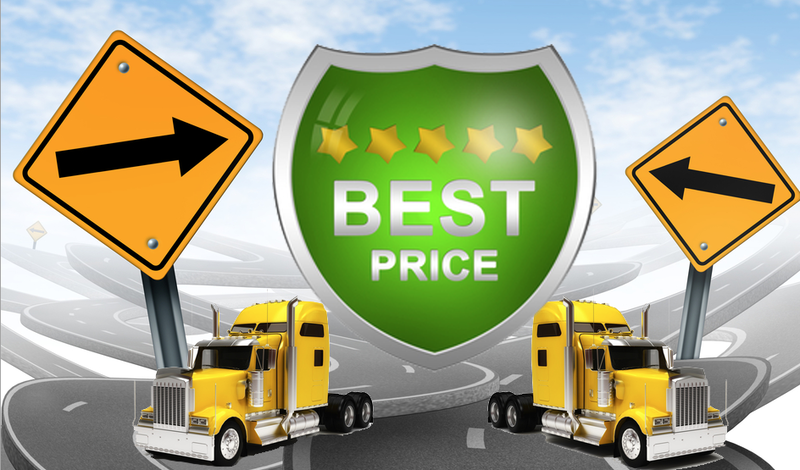 At Best Price Auto Shipping we will guide you through the entire California auto shipping process. Fill out the short, simple quote form above, or call 800-691-2347 to start receiving California auto shipping quotes. Maybe your are moving to California or just need to have car transported to or from here, either way you might be interested in learning more about the great golden state of California. California is a beautiful place to live and visit, it is a land where dreams really do come true! This diverse region has it all, from beaches to deserts, mountains, valleys, ocean and snow. You could be snow boarding in the morning, and then surfing in the evening. From the rich agritculture to Hollywood, it's no wonder that millions of people call California their home. Did you know that California is the 3rd largest state in the United States in terms of area, only behind Alaska and Texas. California covers an area of around 163,695 square miles (approximately 423,967 km2). California has the nickname “The Golden State” which became its official nickname in the year 1968. This name is appropriate in particular because of the discovery of gold in the year 1848. California became the 31st official state of the United States of America in the year 1850. California has millions of acres of land for agricultural purposes and is the leader in the U.S. in agricultural production. 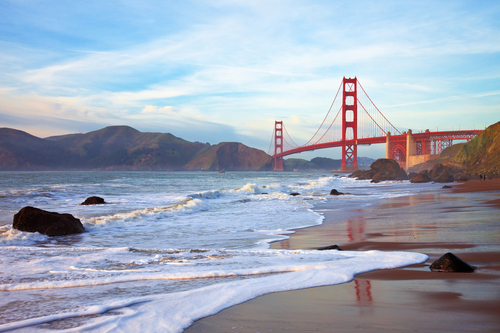 California is among the most famous states of the U.S. and has renowned places like Hollywood, Disneyland, Golden Gate Bridge and Yosemite National Park. California is the largest state in the United States in terms of population. According to estimates of July 2014, the state’s population is around 38,802,500. Sacramento is the capital of California. It is the 8th largest city in California by area, covering an area of around 97.9 square miles (approximately 254 km2). By population, Sacramento is the 7th biggest city in California, having a population of approximately 486,189 according to the 2010 census. Los Angeles leads the population figures with around 4,094,764 people residing in it. Other crowded cities in California include San Diego and San Jose with populations of nearly 1,376,173 and 1,023,083 respectively. Sacramento has moderate climate in terms of intensity. In December, the weather reaches as low as around 38 ̊F (3.6 ̊C) and reaches maximum in July to the value of about 92 ̊F (33.6 ̊C). California is the leading state in terms of industry in the United States. It ranks 1st in almost all general manufacturing categories. California ranks among the leaders in agricultural products, computers, machinery, fabricated metals and many other industries. The famed “Silicon Valley” is also located in California, in the northern part of Santa Clara County. California is a top exporter of computers, electronic products, diamonds and almonds. Major imports of California include crude oil, parts and accessories for machines and processors and controllers. Pacific Coast Highway (PCH) is one of the most famous highways in California. It is also the most beautiful highway in the state. It starts from historic Monterey, through Carmel and Big Sur. It literally crosses the entire state and runs along the Pacific coastline of the state. Other notable highways include Tioga Pass (State Route 120). Tioga Pass is also an entrance to the famous Yosemite National Park. Furthermore, this route is closed in winters and operates only during the summer season. Highway 395, also known as desert highway, is also a very famous highway which goes all the way from Victorville to Lake Topaz. One more renowned highway in California is Highway 101 which passes through Hollywood and Los Angeles. This particular highway becomes exceptionally beautiful when it meets with Pacific Coast Highway through Ventura and Santa Barbara. California has the highest average fuel price (gasoline) among all the states in the United States. The current average price of gasoline in California is around $3.36 per gallon. So whether you shipping a car to California or shipping a car from California , Best Price Auto Shipping has you covered.